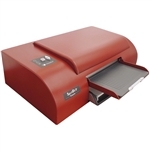 The VP Embraille is the most affordable embosser in the world. 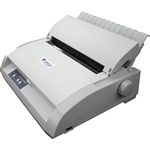 Compact and highly portable with easy to use tractor fed paper, the VP EmBraille is the perfect choice for the classroom, busy professional, or at home. The Cyclone is a light-weight, single-sided embosser that produces our legendary quality of Braille at speeds up to 60 characters per second and is compatible with all major Braille translation programs. Embossing speed up to 60 characters per second. Embosses regular (12.5 DPI) and high (17 DPI) resolution graphics. 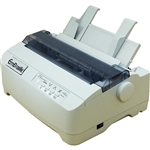 A compact Braille Embosser that allows you to do special Braille projects such as; invitations, flyers, business cards, letters and much more using specialty papers and card stocks. Imagine the ability to scan your pictures, graphs and charts into your computer and with a few clicks of the mouse, emboss those images in high definition tactile graphics without compromising the quality of your Braille text. The VP Max is the only embosser approved for smarter balanced testing. Large format paper and industry leading tactile graphics all in a convenient desktop embosser. The VP SpotDot is a color ink, tactile graphics, and cut sheet puts the VP SpotDot in a class of its own. 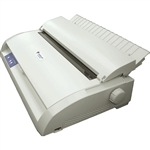 No other embosser in the world provides as much versatility and flexibility in a desktop braille printer.